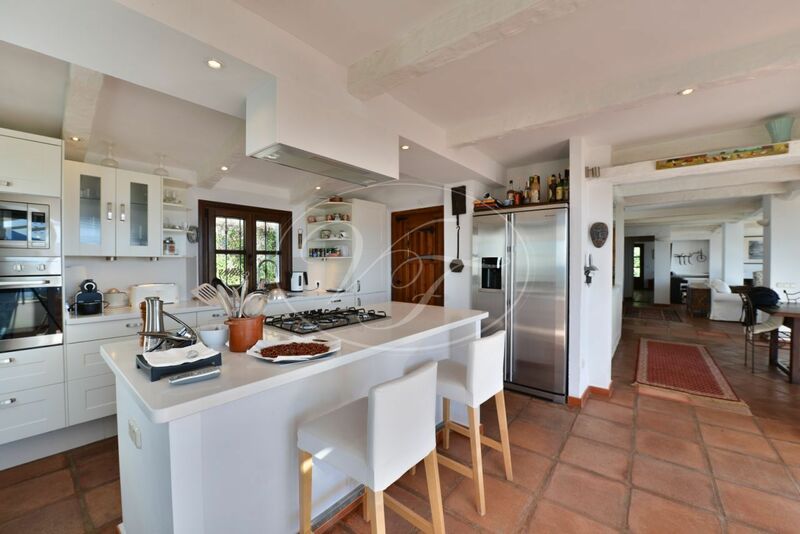 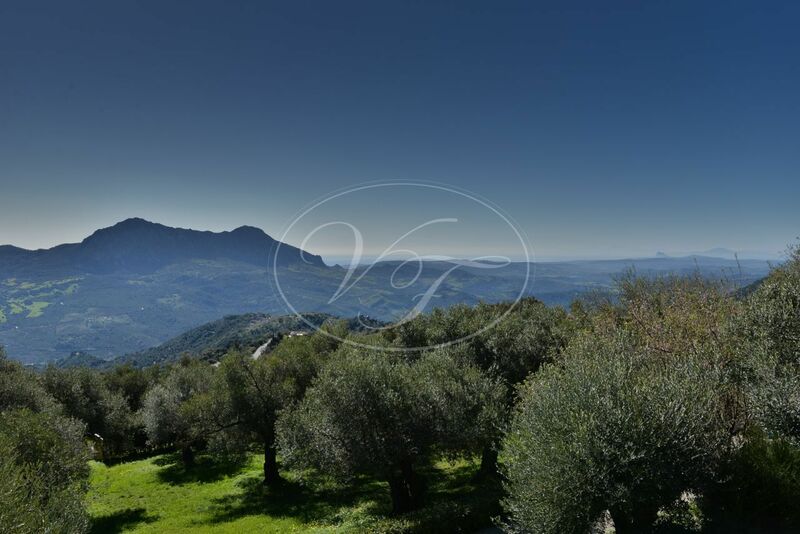 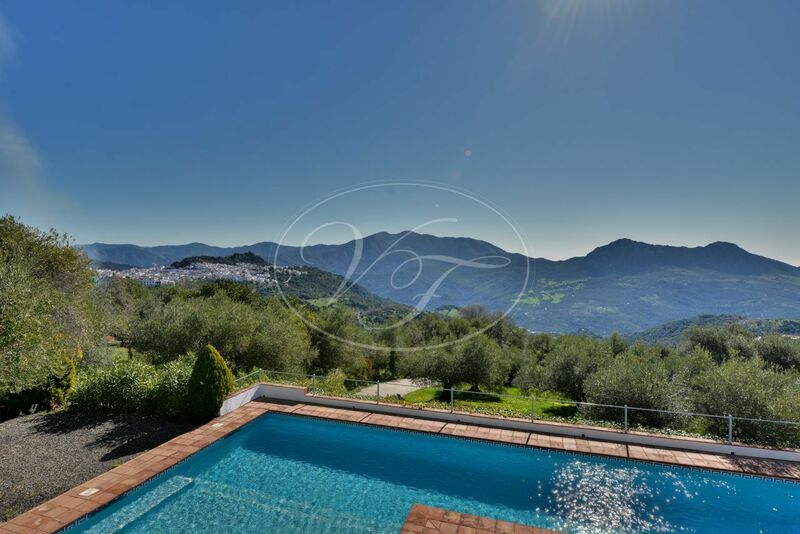 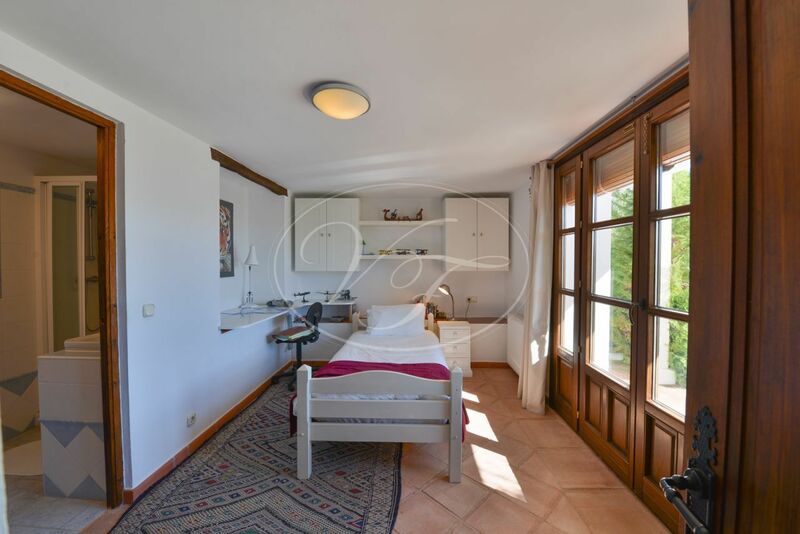 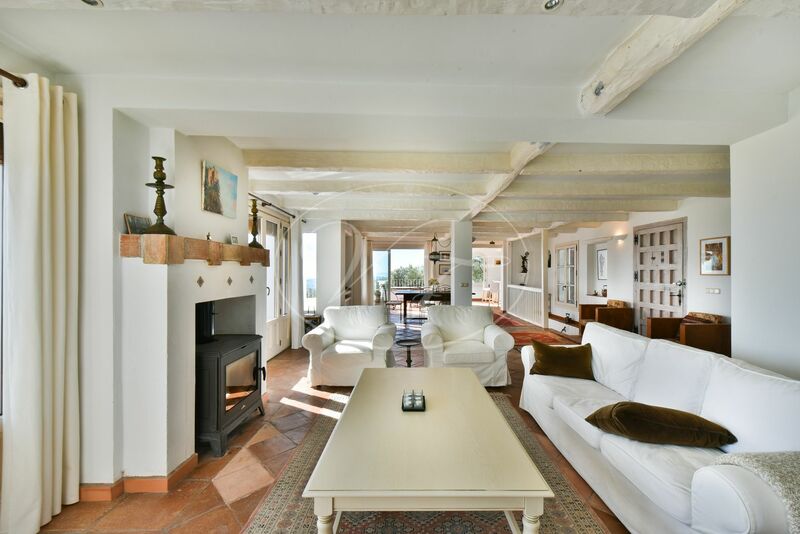 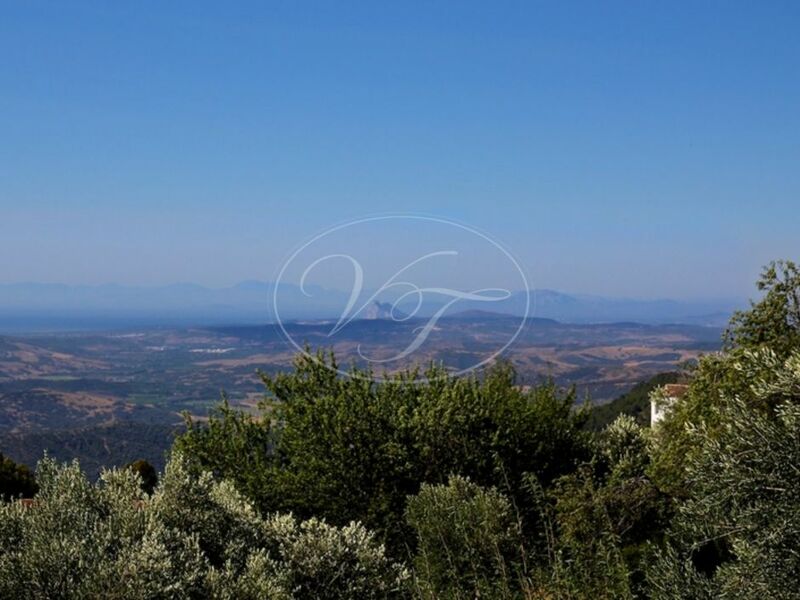 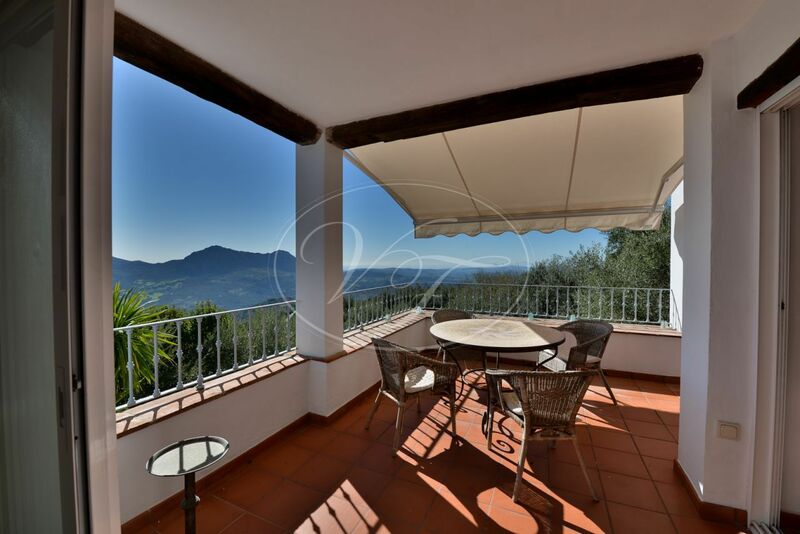 A magnificent and very comfortable country house in the Gaucin area, with one of the most beautiful and spectacular views, over the sea, the Genal valley and over the village of Gaucin. 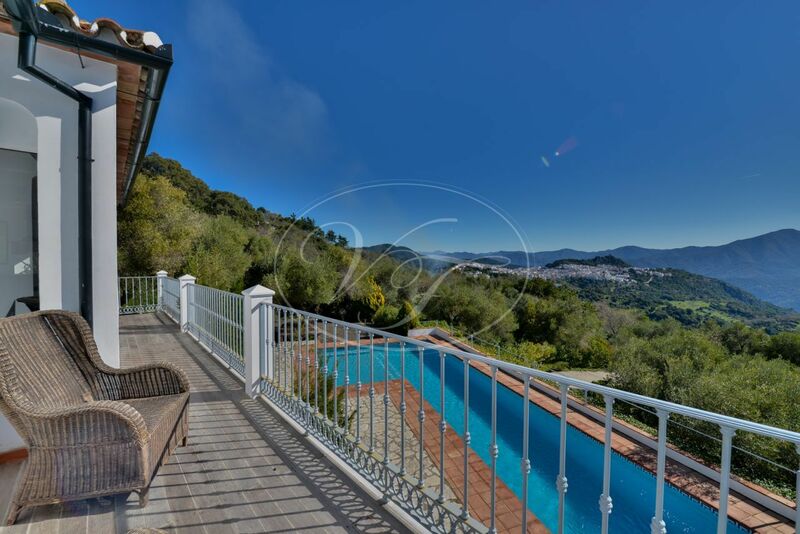 The property ‘s views across the “Pillars of Hercules” Gibraltar and the Atlas Mountains in Morocco takes your breath away. 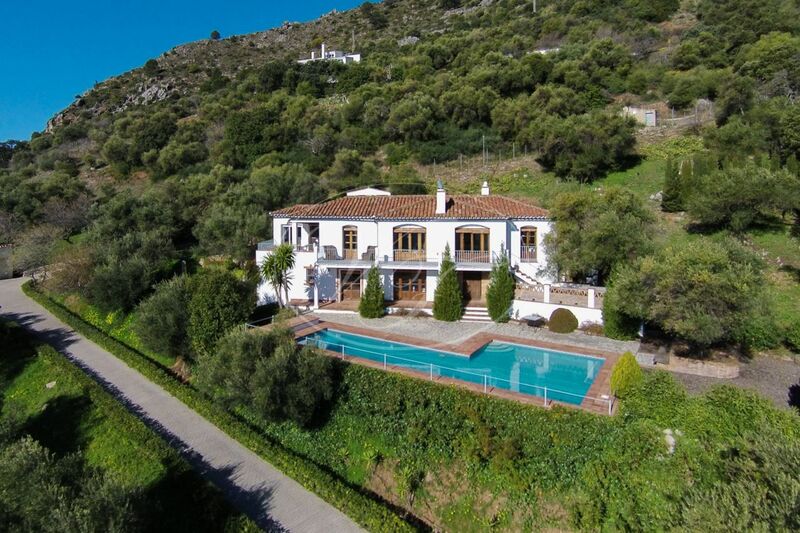 The villa is close to the main road. 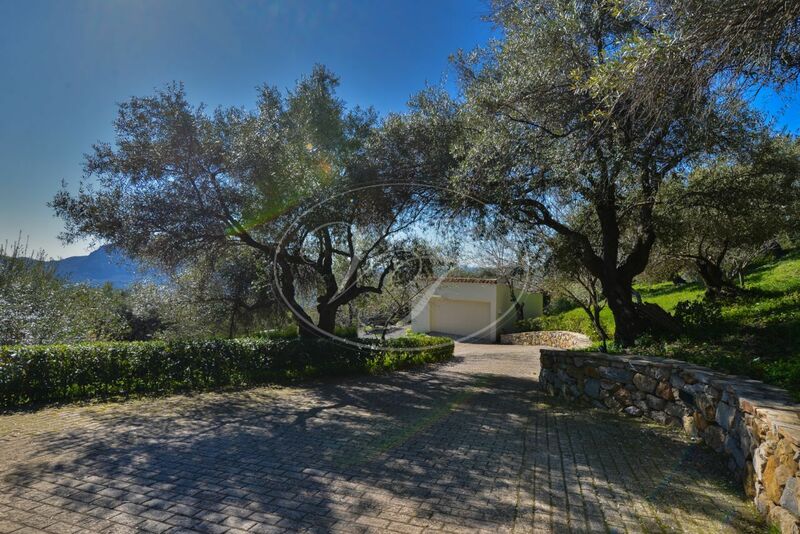 An automatic security gate gives access to the property and the drive takes you through your own old olive grove to the garage or a patio with fountain. 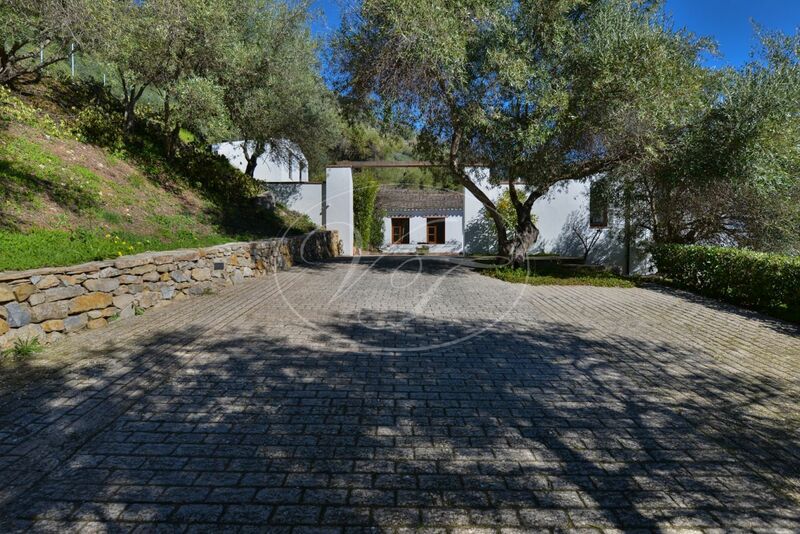 The villa with 255 m2 built, consists of an entrance, living room with fireplace and panoramical views to the village, mountains and Sea, dining area leading to a terrace, fully fitted modern kitchen, storage, bedroom with en-suite bathroom and dressing room, cloakroom, study and a large master bedroom with en-suite shower room. 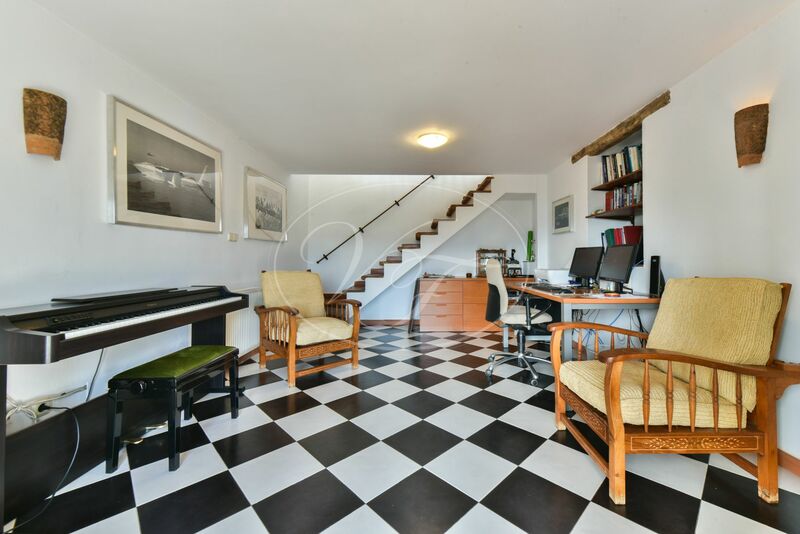 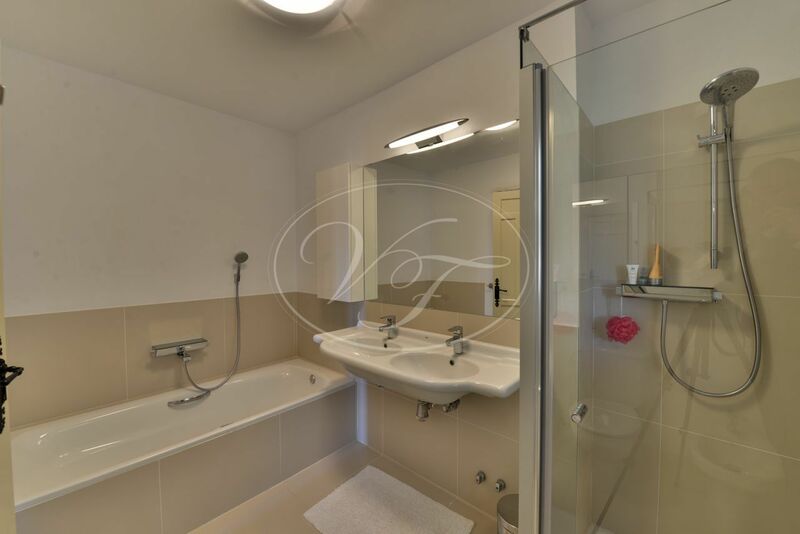 Downstairs is an office or playroom, and two bedrooms with en-suite bathrooms. 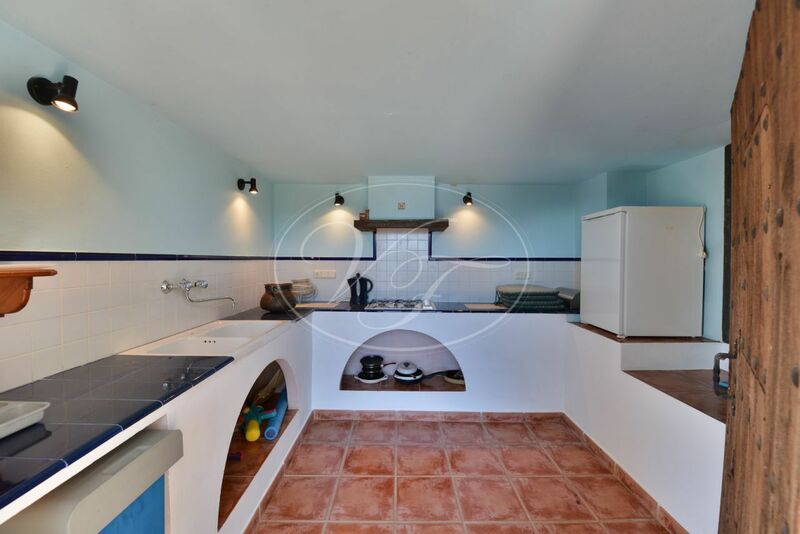 There is a kitchen serving the pool terrace and a beautiful BBQ area. 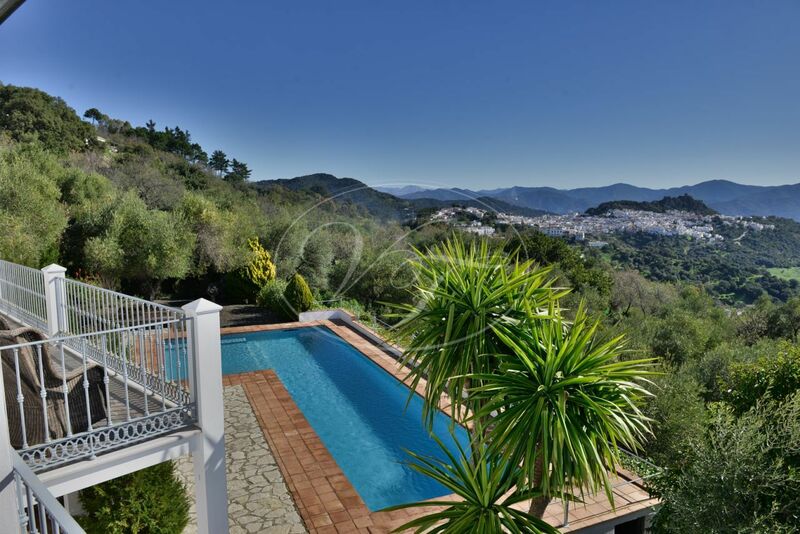 Large pool, 66m2, and 14,5 meters long. 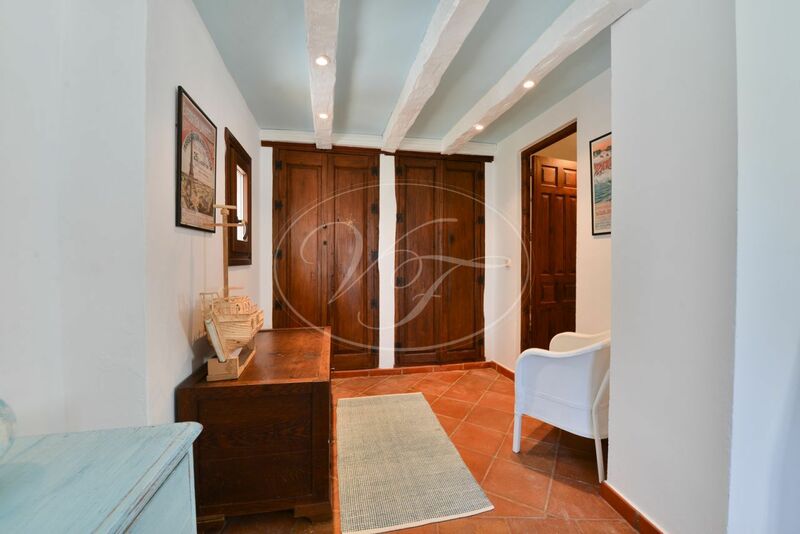 Outside utility room and on the back of the house a small yoga/gym room. 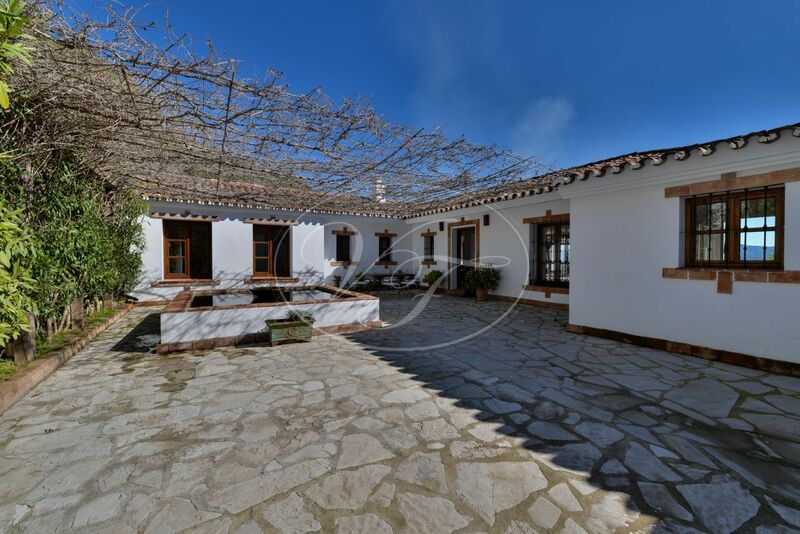 The villa is insulated, has Central heating with radiators, solar panels for hot water, double glazing, mains water, well water, Gas tank, mains electricity and a generator. 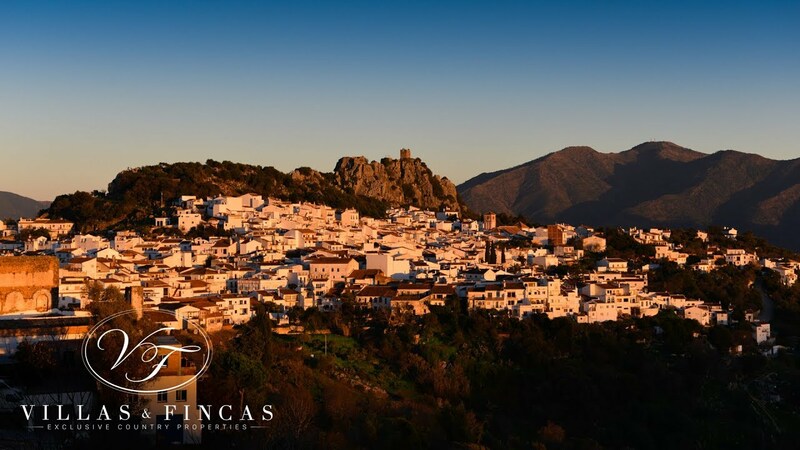 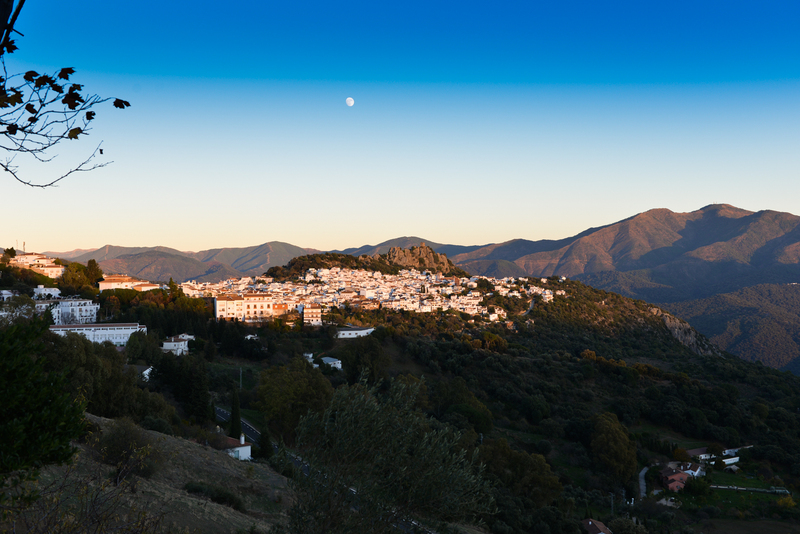 Gaucin is one of the famous white villages, were many writers and painters come for inspiration. 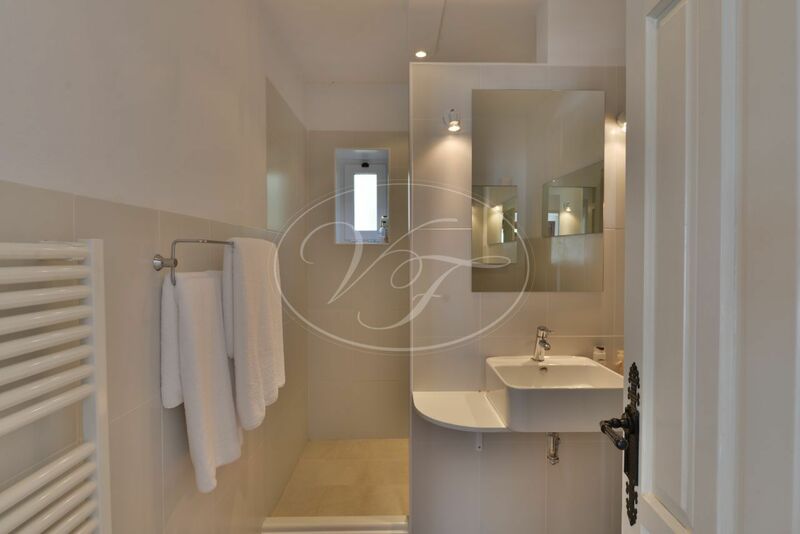 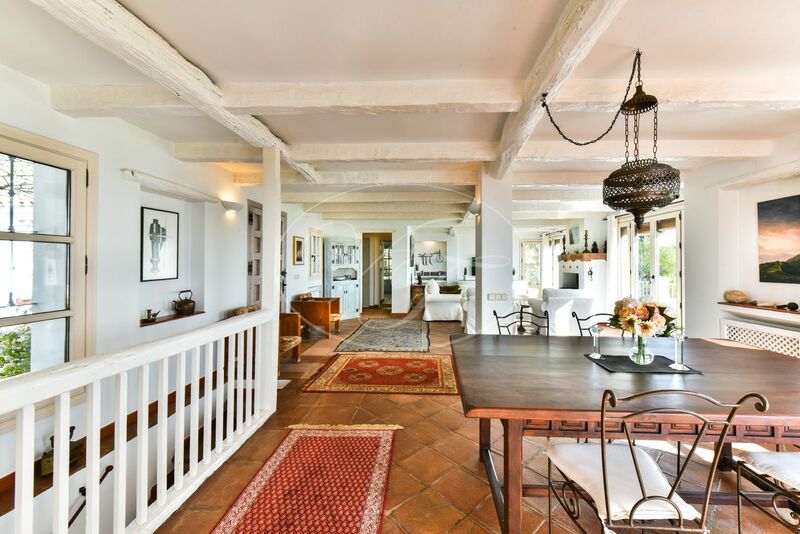 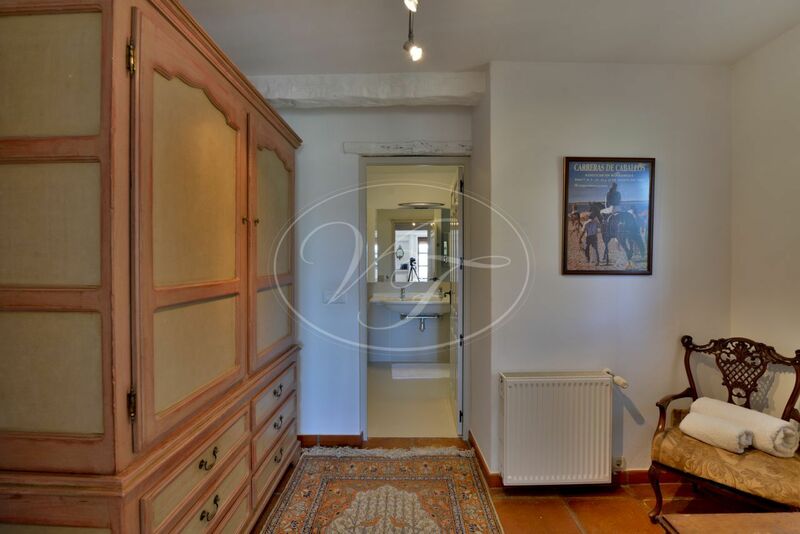 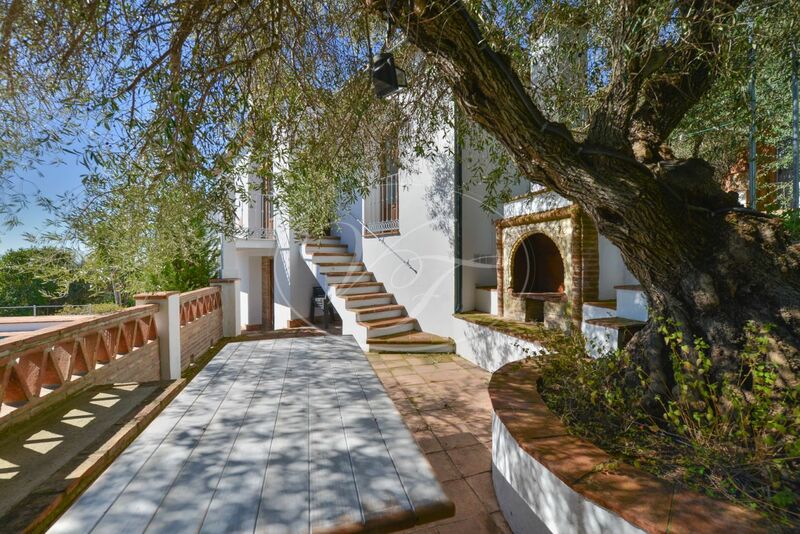 40 minutes from the beach and Sotogrande. 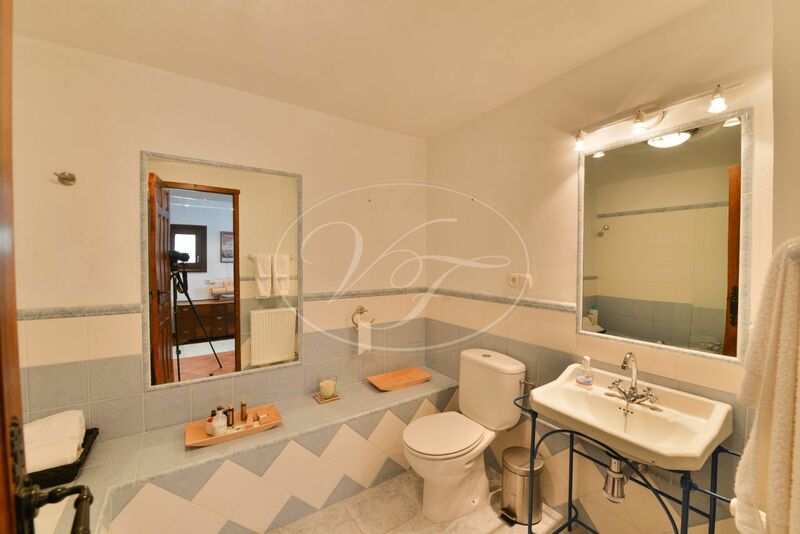 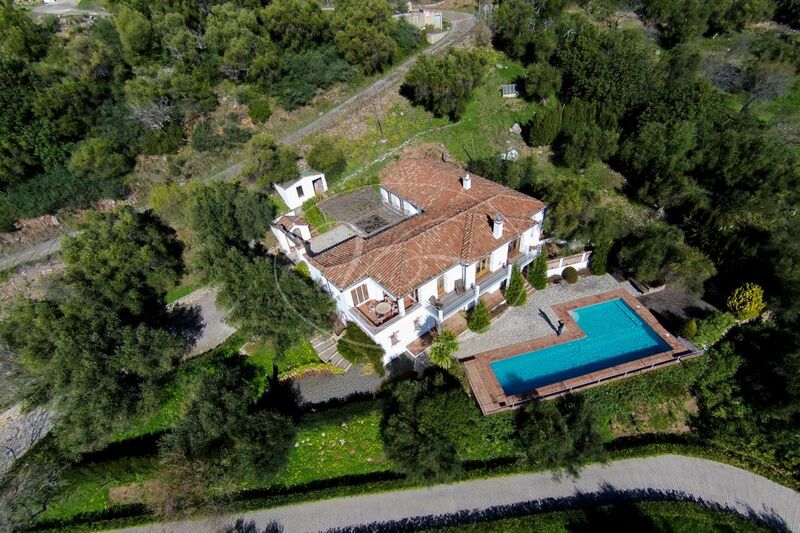 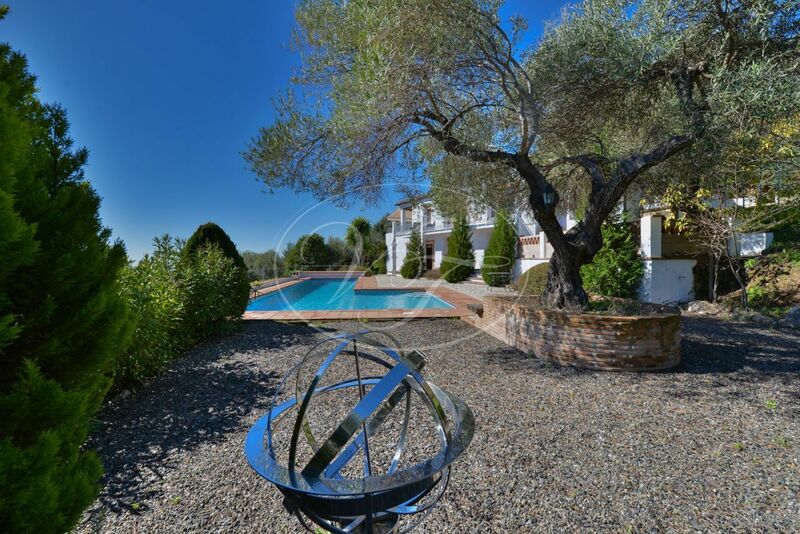 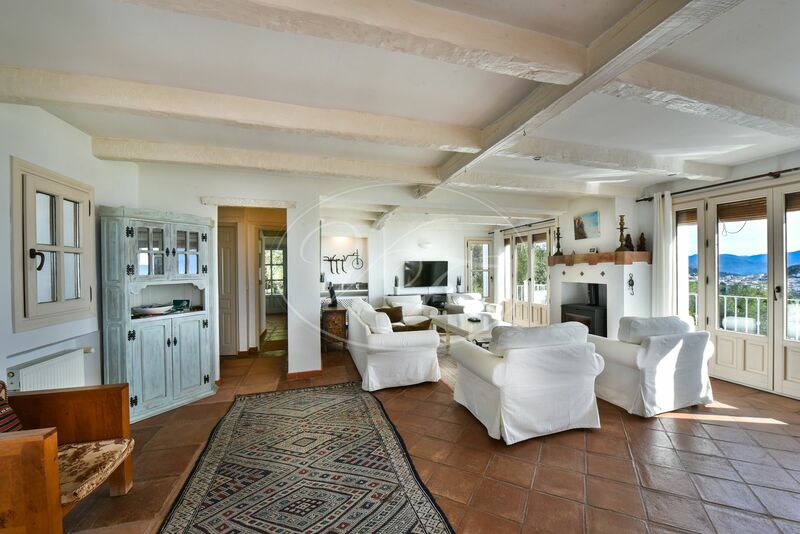 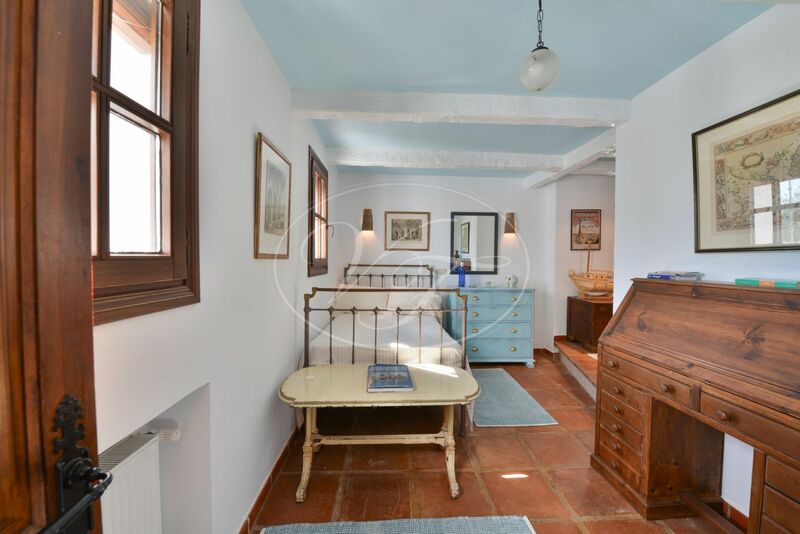 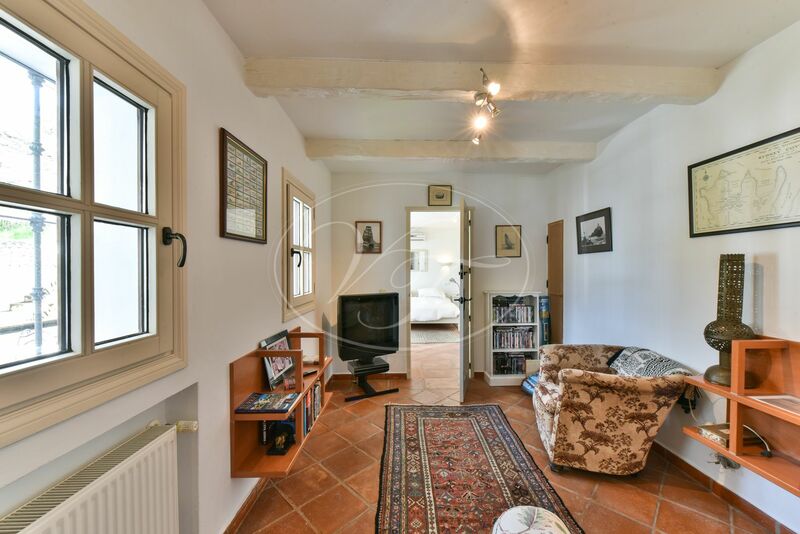 Please, send more information about ref 186-00348P, Country House in Gaucin or similar properties.